At the law office Shinbaum & Campbell, Attorneys At Law, we provide dedicated legal services for our clients in Montgomery, AL, Selma, AL, and the surrounding areas of Central and South Alabama. For more than 30 years, we have been serving our clients in the areas of family law, workers compensation, social security disability, personal injury, traffic law, and bankruptcy. As a full service law firm with multiple practice areas, we provide our clients with the legal services they need to competently resolve their legal concerns. When you need an attorney who is committed to getting the best results for you case, look no further than Shinbaum & Campbell, Attorneys At Law. We have the expertise and knowledge to ensure the best outcome in your case. Whether you need legal services for divorce, workers' comp, social security, personal injury, Chapter 13 or Chapter 7 bankruptcy, we can provide you with assertive results oriented representation and personalized services throughout the entirety of your case. Personal Injury Assistance We have handled many different types of personal injury cases involving truck accidents, auto accidents, motorcycle accidents, slip and fall, and many more cases. We will see to it that our clients receive the maximum compensation allowable for their pain and suffering, lost wages, and medical bills. Workers Compensation Joe Campbell is probably the most recognized expert in the field of Workers Compensation, and has been recognized for his work in Drug Testing and aiding injured workers that have been fired from their jobs and/or will be fired from their jobs as the result of on the job injuries. Chapter 7 And Chapter 13 Bankruptcy Richard Shinbaum has been recognized in the field of Bankruptcy Law and is the only attorney practicing in Central Alabama that has been chairman of the Bankruptcy and Commercial Law Section of the Alabama Bar Association. He is dedicated to making sure you know all of your remedies and the cost before you decide to file bankruptcy. Let Our Legal Team Go To Work For You Our legal team is here to provide you with the services you need during your case. From beginning to end, we will work diligently to effect the best outcome on your behalf. Contact us to schedule a consultation with an attorney by calling us in Montgomery office at 334-269-4440 or in Selma office at 334-872-4545. 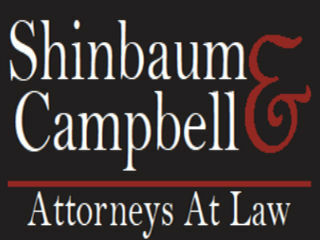 Shinbaum & Campbell is the Bankrutpcy Firm that is interested in solving your problems. We handle all types of legal problems,including Social Security and Workers Compensation. If we can not help you we promise to get you to a firm will help you. Shinbaum and Campbell has been dedicated to solving difficult financial situations for clients. Richard Shinbaum has been recognized in the field of Bankruptcy Law and is the only private attorney in Central Alabama that has been chairman of the Bankruptcy Section of the Alabama Bar Association. Richard Shinbaum is continually called upon to teach Bankruptcy topics to attorney's in the State of Alabama at various Continuing Education Conferences. 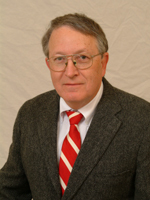 Joe Campbell is probably the foremost expert in the field of disabilities in the State of Alabama. Joe Campbell has been recognized as an expert in the field of drug testing and drug interaction and has conducted seminars on Department of Transportation Regulations. Joe Campbell has the expertise and is not afraid to take on the big car manufacturing plants. 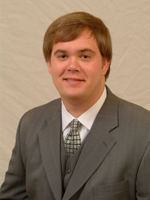 Josh Milam is an excellent young attorney that graduated highly from his law school and spent time interning with the Alabama Supreme Court, Justice Parker, before entering private practice. Josh Milam is highly capable of answering your questions and figuring solutions. James Walker is a twenty-five year veteran in the bankruptcy field, which he entered following leaving the Montgomery County District Attorney's Office. Shinbaum and Campbell has been successfully handling Social Security Cases for over twenty years with better than a 90% success rate. We handle Social Security Disability cases and we win. Over 90% of our cases result in a positive finding for the client. Others talk about winning you your entitlements, but we do something about winning. Social Security benefits can be a long and hard ordeal, before you get relief. You deserve honest answers to hard questions. We fully understand that you do not want to be disabled and that you would give anything not to have to apply for Social Security. We respect that you have serious problems and need relief. Give us a call and find out the honest answers.